Gooood morning lovelies! In the early hours of tuesday morning me and my boyfriend landed back in the UK after a beautiful holiday in Mallorca. Flying in the middle of the night was so tiring especially as I was feeling under the weather so OF COURSE I needed a pick me up to make me feel better. 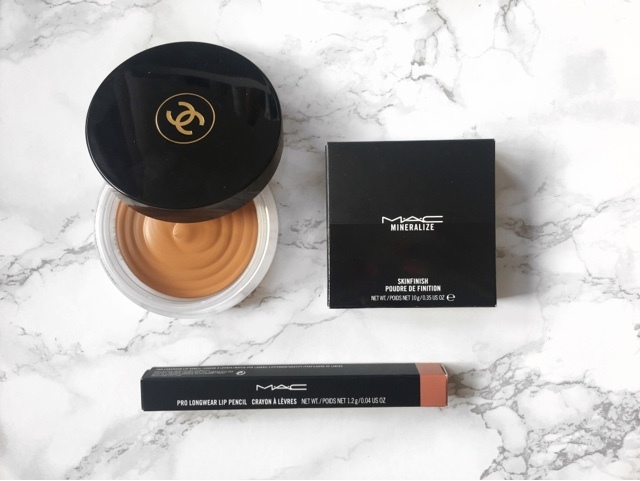 The first item I picked up was the MAC Prolongwear Lip Pencil in Oh Honey. I've never heard much about this shade, in fact I don't think I've ever heard of it but i was drawn to the colour on the end of the pencil and when I swatched it I was literally like "Oh Honey!" And that went straight in my basket! 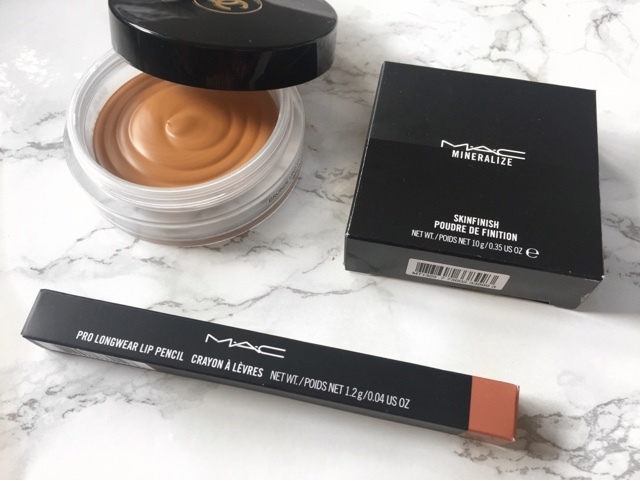 The next item I picked up was MAC Mineralise Skinfinish in Soft and Gentle. I've always favoured champagne, golden highlighters so this has never really appealed to me. But recently I've been using the Peaches and Cream loose pigments in Pearl and Kitten as highlighters which are both pink pearlescent shades and I love them! So I can't wait to use this and see how I get on. Ahhh last but not least, Chanel Soleil Tan De Chanel. As soon as I saw the Chanel counter across the shop all I thought was "where is it?" A lot of people have this and a lot of people love it, which is why I can't wait to get a duofibre brush dunked right in there. It also smells DIVINE. That's all for my Mini Duty Free Haul, let me know if you have any of these products and what you think of them in the comments below! See you soon!